What gets us fired up. Recent acts of brand refreshment. 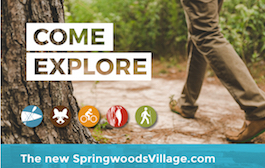 Come explore the new SpringwoodsVillage.com. Colorado Ballet enjoys record-breaking season. 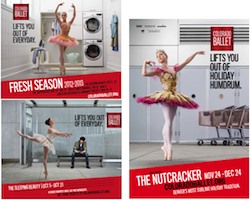 Colorado Ballet, now in the second year of our evolved branding and retail campaign, has posted record breaking sales for the 2013-2014 season. The hauntingly beautiful Giselle opened to rave reviews from audience members and critics. 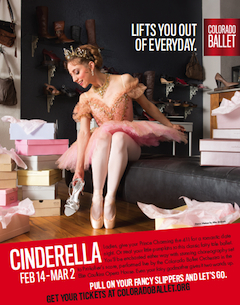 Colorado Ballet’s 53rd annual production of The Nutcracker broke previous revenue records set in the 2012-2013 season. The spring production ofCinderella had the highest average attendance per performance for any production excluding The Nutcracker for at least the last 20 years. Launch is honored to be a part of the success. Our client LiveWell Colorado is raising awareness around the complex issue of childhood obesity. What are the contributing factors, and how is Colorado collectively making healthy change? We introduced a new TV spot during the 2014 Winter Olympics that addresses the environmental factors leading to childhood obesity. The new campaign has also been trans-created for Colorado’s Hispanic audience. It’s alarming how today’s world is weighing heavy on Colorado kids. What’s new on the UrbanScape? 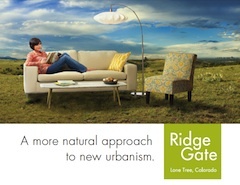 We recently evolved the branding campaign for RidgeGate, a new urbanism community located in Lone Tree, Colorado. The series of print ads will be featured over the next year in Colorado Homes & Lifestyles, 5280 Magazine and Lone Tree-area community papers. With nearly than 3,000 residents, growing retail districts, cultural and lifestyle facilities, RidgeGate is becoming a vibrant blend of urban and open. 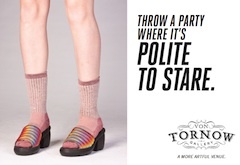 Von Tornow Gallery is a fresh canvas for Launch. We’ve been doing some branding work for Von Tornow Gallery. VTG is located in the Golden Triangle District in downtown Denver, and doubles as a unique event space. We’ve developed a series of posters and postcards that promote VTG as ‘a more artful venue’ for parties, corporate and nonprofit events. 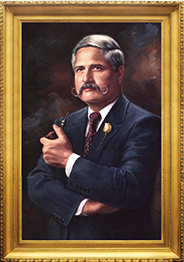 You might want to investigate the space and invite Art to your next shindig. Jess McCaa is our newest Launchette! We’re so happy to have Jess Wirt McCaa on board as our new account supervisor on the LiveWell Colorado campaign to reduce and prevent obesity in Colorado. 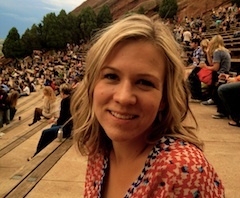 Jess was most recently an account supervisor at Amelie Company in Denver, where she led social change campaigns for the Colorado Department of Transportation and Delta Dental. Jess and her hubby have 3-year old identical twin boys, Leo and Zander. Now that mom’s fully immersed in the LiveWell culture, those little guys are getting a lot more quinoa muffins and carrot sticks. Sorry boys! Colorado Ballet lifts you out of everyday. 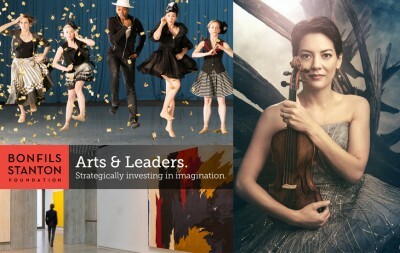 We recently partnered with Colorado-based photographer Allen Birnbach to create a new branding campaign for Colorado Ballet. A series of images feature Colorado Ballet dancers in stark contrast to the unexpected, mundane environments in which they find themselves. The theme line, “Lifts you out of everyday,” prompts readers to escape the everyday grind for the pleasure and beauty of Colorado Ballet. The campaign includes light rail and mall shuttle advertising, Denver Theatre District street banners, guerrilla tactics, newspaper and magazine advertising. A virtual breath of fresh air. 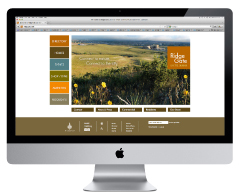 In partnership with Denver web firm Engrain, Launch recently rebranded, retooled, and refreshed our client RidgeGate’s community website. If you’ve never heard of this new urbanism community, it is located in Lone Tree, Colorado, just west of I-25 at Lincoln Avenue. Come take a virtual tour. Our hats are off to Engrain for their fantastic collaboration and expertise.